The United States is one of the few nations in the world which subjects its expatriates to global income reporting requirements. Don’t make the mistake of assuming you are free from the mandates of the Internal Revenue Service (IRS) simply because you have expatriated or are planning on expatriating to Greece: you are still liable for US tax, and remain subject to various filing requirements. If you fail to satisfy these requirements, you may be subject to devastating civil and even criminal penalties. 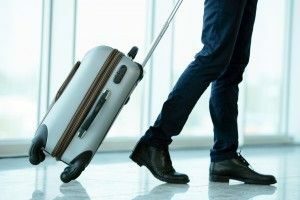 As the IRS and Department of Justice (DOJ) have made plain in recent years, these agencies are fully prepared to investigate and prosecute noncompliant expatriates, as well as the foreign institutions with which they hold accounts. If you have any questions or concerns about your tax compliance as a US expat living in Greece, it is extremely important to contact an experienced CPA today before your problems worsen tomorrow. Tax matters are highly time-sensitive, and if you wait for too long, you could accidentally deprive yourself of legal and financial recourse. The sooner you address the issue, the easier it will be to effectively and efficiently resolve. International CPA Ted Kleinman has over 30 years of experience assisting US citizens and residents abroad with a wide variety of tax matters. Whether you’re interested in participating in the Streamlined Offshore Disclosure Program, need help resolving compliance issues like failure to file an FBAR or failure to file or pay tax, or simply need to get your finances in order before departing for Greece, US Tax Help is here to assist you. To set up a confidential consultation, call Ted Kleinman today at (541) 923-0903. I Live in Greece, Do I Have to File a US Tax Return with the IRS? Unfortunately for international taxpayers, the answer to this question is a resounding yes. You must file an income tax return, and furthermore must also pay any tax for which you are liable. However, the normal April 15 filing deadline is extended for US persons overseas. Expatriates automatically qualify for a two-month extension, which may be further extended to October 15 by filing Form 4868. Taxpayers should bear in mind that the penalties for failure to file tax are generally harsher than the penalties for failure to pay tax, so it’s very important to get caught up on your filing requirements as soon as you can. 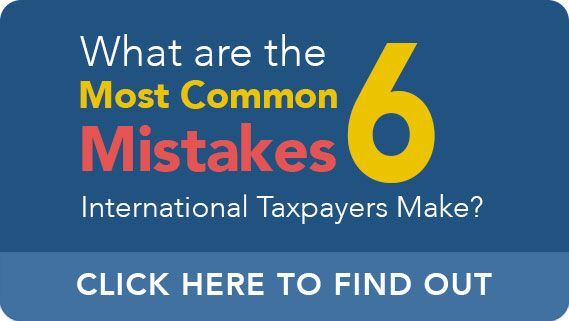 Willful or intentional violations are also penalized far more harshly than accidental violations where the taxpayer has a valid and reasonable excuse. If you owe back taxes or have unfiled returns from previous years, Ted Kleinman will help you understand your rights, options, and responsibilities, and can negotiate with the IRS on your behalf. If you are paying Greek income tax, you can potentially avoid double-taxation with the Foreign Tax Credit (Form 1116) and Foreign Earned Income Exclusion (Form 2555). Ted will scour every aspect of your financial records in search of all possible credits and deductions you can claim to lower what you owe. FATCA (Foreign Account Tax Compliance Act) – FATCA is a recent law which was passed in 2010. 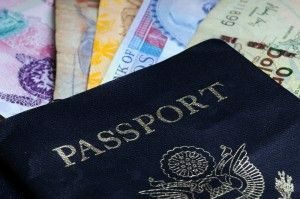 FATCA was enacted to “crack down” on US taxpayers with concealed offshore assets, as well as foreign banks and other foreign financial institutions (FFIs) aiding in tax evasion or attempted tax evasion. FATCA encompasses the FBAR filing requirement described below. FBAR (Report of Foreign Bank and Financial Accounts) – You must file an FBAR if you had signature authority over, or financial interest in, a Greek account (or other foreign account) whose aggregate value surpassed $10,000 at any point during the reporting year, for however long or brief a time. FBAR must be filed electronically, via the BSA E-Filing System, by using FinCEN Report 114. The deadline for filing an FBAR is June 30. Willful failure to file an FBAR can trigger a $100,000 penalty, while non-willful violations are subject to a penalty of $10,000 (per violation). Foreign assets must also be reported on Form 8938 (Statement of Specified Foreign Financial Assets). The Streamlined Domestic Procedure imposes a 5% penalty on the year with the highest FBAR total balance during the covered period. Ted will work closely with you to determine whether the Offshore or Domestic procedure would be your better option. You cannot participate in the Streamlined if you are already under civil investigation, so if you have any concerns about past noncompliance, it is critically important to discuss them with a CPA sooner rather than later. Regardless of where you reside in Greece – be it Athens, Thessaloniki, Patras, Heraklion, or elsewhere – Ted Kleinman is available around the clock to help you resolve your tax matter. Don’t lose another night of sleep worrying about the IRS: start taking charge of your financial situation today. To start exploring some of your options in a confidential consultation with Ted, call US Tax Help right away at (541) 923-0903.